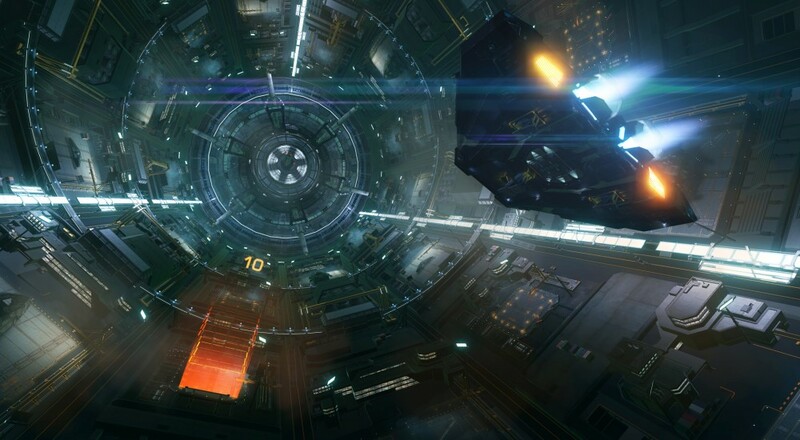 The space flight sim/cargo shipping game, Elite: Dangerous, will at long last make its way onto the PlayStation 4 next month. Starting next Tuesday, May 30, you can pre-order the title digitally on PSN in the U.S., or you can pre-order the boxed Legendary Edition. Either way, you'll have to wait another month until you can play. The Legendary Edition of the game, which will be available for both PlayStation 4 and Xbox One, will include the base game, the Horizons Season Pass, and 1,000 Frontier points, the premium in-game currency that can be spent on cosmetic items. GameStop currently has this listed for $49.99, and the "Digital Deluxe" version of the game (which has all the same content, only it's digital) will likely run the same amount based on the listing over in the GB PSN store. Elite: Dangerous will be available to play on the PlayStation 4 on June 27, 2017. The game supports two squads of four players each to fly together, or four players can team up and fly one ship together. Page created in 0.7846 seconds.